Urapakkam is one amongst the emerging suburbs of Chennai, which belongs to Kanchipuram district, Tamil Nadu. As the area is strategically located on the Grand Southern Trunk Road (GST), the locality has all the advantages to attract the property investors. Moreover, it has easy access to the National Highway (NH45) which connects to Trichy and other important towns of Tamil Nadu along its route. Further, Urapakkam has close proximity to the Special Economic Zones (SEZ), which is located along the GST road. There are several SEZ projects in the stretch which includes Madras Export Processing Zone (MEPZ), Mahindra World City, India Land SEZ, Shriram’s Gateway SEZ, ETL Infrastructure and Estancia SEZ. This SEZ corridor is the hub for many IT bigwigs like Mahindra Satyam, Accenture and other major MNCs. As a result, there is a huge demand among the working professionals for buying residential apartments in Urapakkam. The transportation facility in Urapakkam is very frequent with the presence of two bus stops and Urapakkam Railway Station. Located on GST Road, the area is well connected to major places like Chennai Airport, Old Mahabalipuram Road (OMR) and Outer Ring Road (ORR) etc. Adding to these features, the State Government of Tamil Nadu has proposed a moffusil bus terminus in Vandalur. If this project is materialized in the future, the prices of plots and residential apartments will rise to great extend. Eventually, there are various residential and commercial projects are being constructed in this area. The area has many educational institutions in its surroundings, which includes B.S. Abdur Rahman Institute of Science and Technology (Crescent Engineering College), SRM University, Valliammai Engineering College, Shri Sankara Vidyalaya, Tagore Engineering College, Vidhya Mandhir etc. The hospitals located nearby include Arokia Annai Hospital, SRM General Hospitals, Hindu Mission Hospital and more. Located between Vandalur and Chengalpet, the area is preferred mostly for its affordable cost. 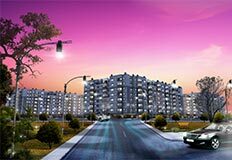 The property values in Urapakam are ranging from Rs.3, 100 to 3,700 per sq ft. The price ranges vary according to the amenities and locality of the project. Further, the end users have choices in buying any type of property that includes apartments, individual villas, independent houses and residential plots. 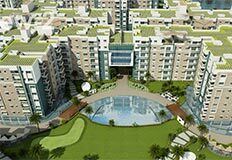 The property owners of this locality are getting great rental returns, as the demand for residence among the students and employees of nearby IT companies. 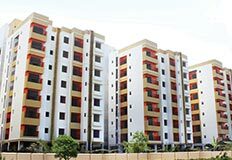 According to various sources, the present rental value of apartments in Urapakkam is ranging from Rs 8, 000 to 11, 000 for 2 bhk and 3 bhk apartments. The future forecast of this locality is very bright, as there are lots of proposed commercial projects, super markets, hospitals etc. Hence, if you are an end user searching for an apartment in Chennai within your budget, Urapakkam is an ideal choice for its connectivity and affordability.